If the year 2009 had any unifying theme in terms of ASL products, it was specialty products, and perhaps the perfect example of this phenomenon is the product Swedish Volunteers (SV). Specialty ASL products tend to be on narrow subjects that are a particular interest to their creator(s), but which are likely to be of great interest to a narrower segment of the ASL audience than usual. 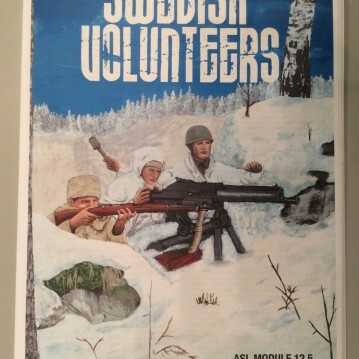 It was perhaps inevitable that a group of Swedes–who are a strong part of the international ASL community–should think to design a group of scenarios based on their country’s limited participation in the Second World War, which consisted of a small number of officially sanctioned Swedish volunteers who fought for Finland during the Winter War, as well as smaller numbers of volunteers who fought alongside Norway in 1940 and again alongside Finland during the German invasion of the Soviet Union in and after 1941. The principle figures behind SV are Martin Svärd and Erik Leander, but a great many Swedish ASLers participated in the product’s creation, development and publication (which was announced as a “non-profit” venture). Clearly, it was a labor of love. Overall, SV is a well-done product, with considerable attention to detail. 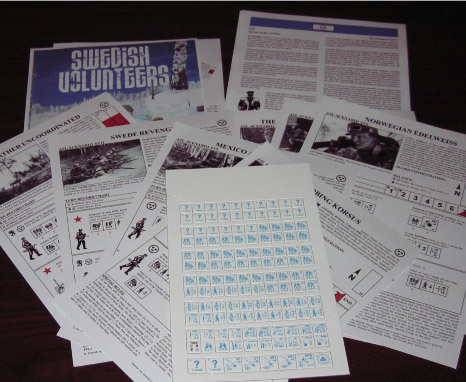 The product is in English, allowing an international audience, and though the English occasionally a bit “off” (not as well proofread as the Swedish-designed Friendly Fire packs, for example), it poses no comprehension problems. 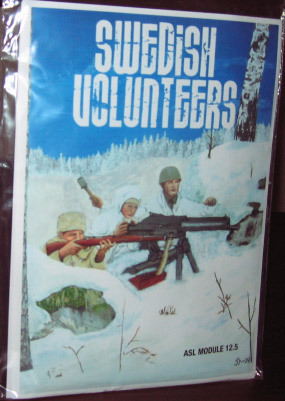 The historical background is useful, as most owners of the product are likely to have little knowledge at all of the role played by Swedish volunteers in World War II. The notes and background are printed on the longer European-sized paper (A4) rather than the standard size preferred in North America; they also have no holes punched in them. Probably the most intriguing component of the product is the countersheet, as the prospect of more die-cut counters is always appealing to ASLers. The counters in SV are very well done, professionally printed and die-cut, and of far higher quality than one might expect for what is essentially an amateur product. 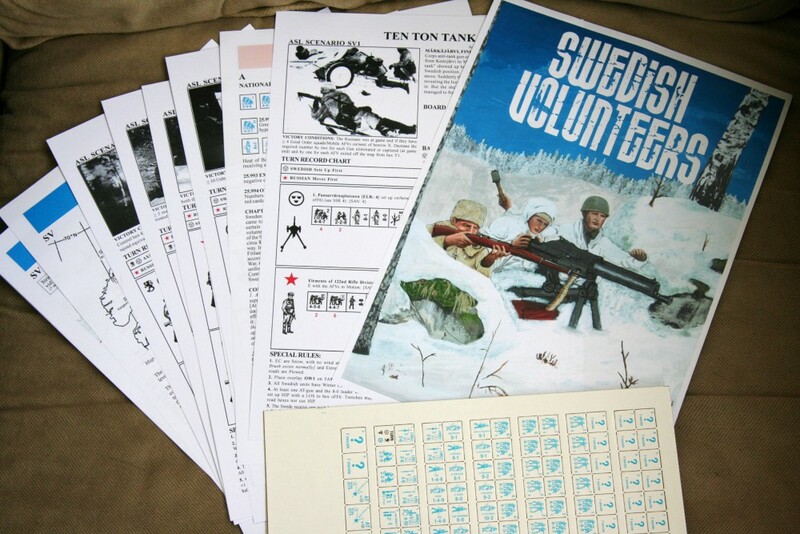 The bulk of the counters are 1/2″ counters that provide the concealment counters, MMC/SMC, and SW for Swedish volunteer units. There is also a turn marker with Swedish, Finnish, and Norwegian emblems on them. 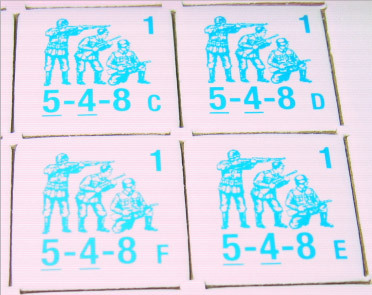 The countersheet also includes 8 5/8″ counters: 2 concealment markers, 5 guns, and a sniper. The Swedes appear in a blue-on-white configuration that is quite attractive. The artwork on the counters is very good (Swedish leader counters with the names of actual Swedes who fought in the Winter War, for example, are even wearing the Swedish winter uniform) and mimics official artwork. The die-cutting is well done. The standard squad for the Swedish troops that fought in Finland is a 5-4-8 1st Line squad; the standard squad for those troops who fought in Norway is a 4-4-7 2nd line squad. They have a smörgåsbord of support weapons. 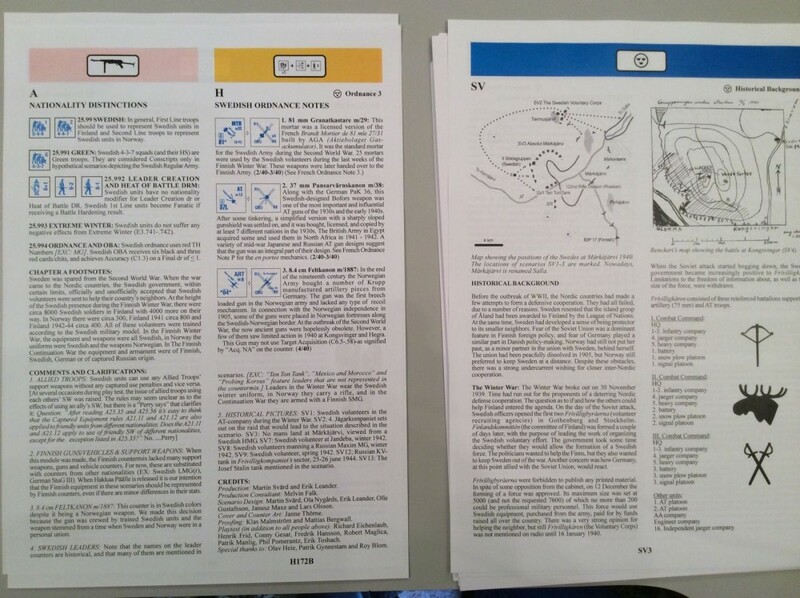 The 14 scenarios are printed on cardstock, in black and red, using the “official” style (and artwork, in some cases). Given the limited number of Swedish volunteers (altogether), as well as the limited amount of combat they saw (for various reasons, they were rarely used in combat), it is remarkable that there are 14 scenarios in the pack in the first place. As one reads the historical descriptions, it becomes clear that the designers “squeezed blood from a stone” in terms of trying to wring every possible scenario out of the historical material; some scenarios are based on quite limited actions. 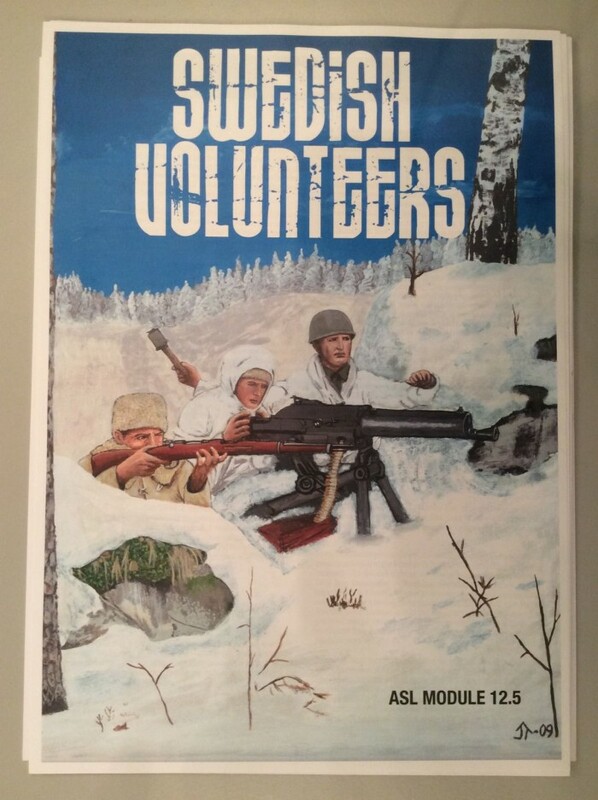 The designers decided to only include actions involving Swedish volunteers trained in Sweden, which means that the Swedish volunteers in the Waffen SS are not represented here (which is just as well). 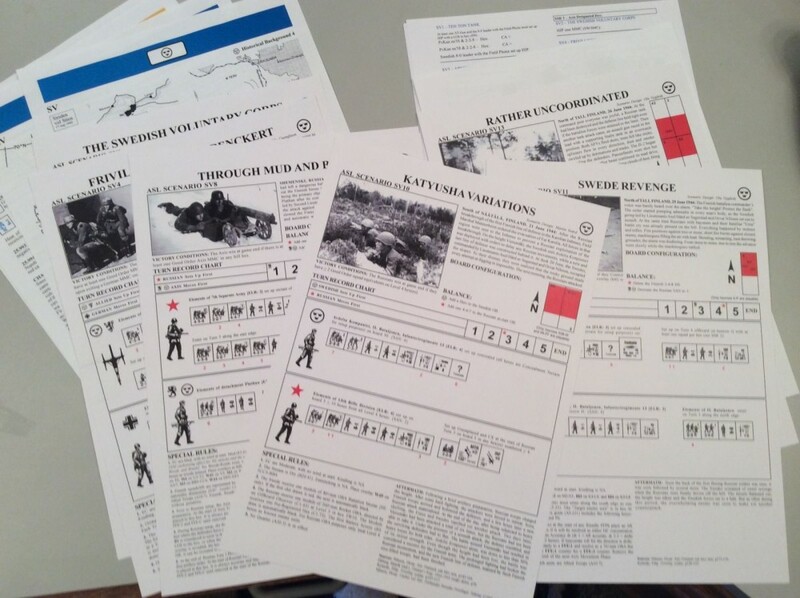 One scenario, SV2 (The Swedish Voluntary Corps), is not original to this pack but is a reprint of a scenario that originally appeared in a Friendly Fire scenario pack. Thematically, 3 scenarios take place during the Winter War, 3 take place in Norway, and the rest take place in the Soviet Union or Finland during the so-called Continuation War. The 14 scenarios tend to be small; 6 scenarios are small, 5 are small-to-medium, and only 3 could be considered large (and even here, 2 of those scenarios feature small numbers of troops for one side). 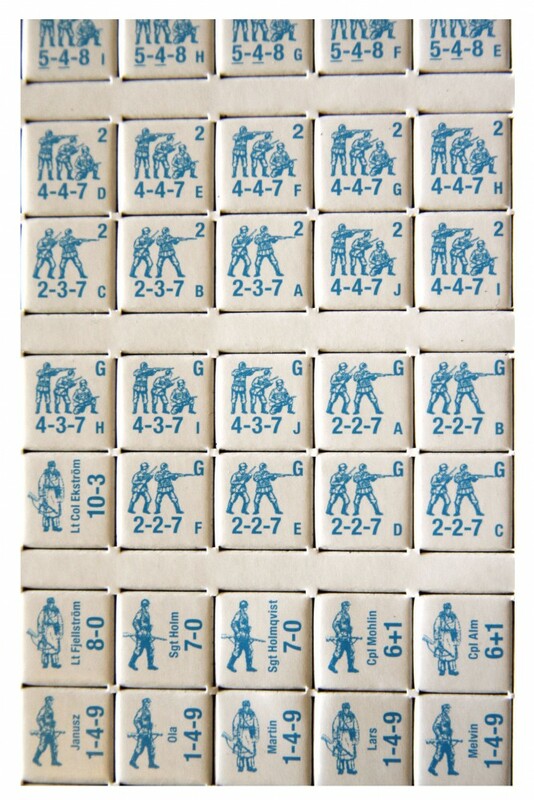 Most of the scenarios in the pack can be played quickly (especially because many are all infantry, or nearly so). Surprisingly, especially considering the small sizes of these scenarios, OBA is present in some form in half of the scenarios in the pack. One scenario has Air Support. Three scenarios feature Extreme Winter (fittingly, the three Winter War scenarios). One scenario, SV1 (Ten Ton Tank), uses ASLSK board u. 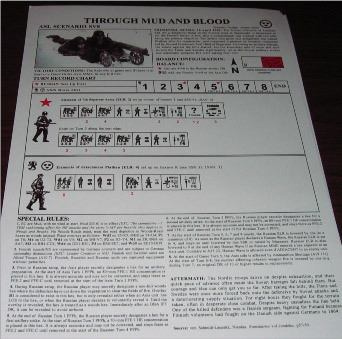 One scenario, SV8 (Through Mud and Blood) actually utilizes 13 overlays (on one half-board). Woods-heavy boards 5 and 52 get used frequently (there is a need for more woods-heavy ASL boards). Several of the scenarios feature interesting tactical situations. One in particular, SV6 (Norwegian Edelweiss) is interesting. One of the Norway scenarios, it features British and Norwegians fighting together against an attack by German mountain troops. 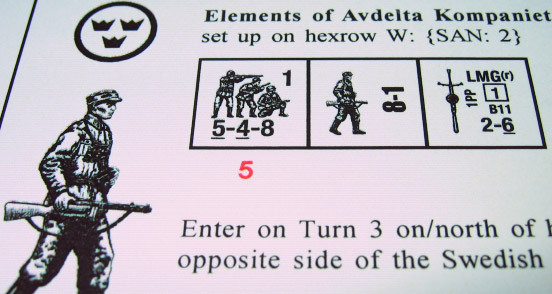 Both sides have forces that are split up and both sides must move; the result is a swirling set of mini-battles across the length of the playing area. It is balanced and fun. Also popular are SV1 (Ten Ton Tank), SV12 (Trap by Mishap), and SV13 (Rather Uncoordinated), among others. Overall, Swedish Volunteers is a well-done effort and illustrates the sort of quality product that is possible by a group of committed ASLers. 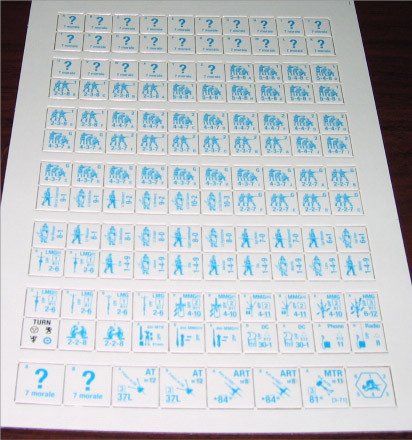 Its very narrow subject matter gives it a lower general appeal than some other scenario packs might have, but the inclusion of die-cut counters will more than compensate for this. When originally announced, it was declared that the availability was limited, which caused many ASL “completists” to rush to make sure they got a copy. However, as of this writing (approximately two months after its release), copies are still available for purchase, which suggests its print run was at least somewhat larger than had been implied. However, over time this probably will become something of a collector’s item. Oops, you might want to fix this sentence, since it is a criticism of grammar.